DETROIT—General Motors Co. on Feb. 6 reported a quarterly profit that exceeded Wall Street expectations, thanks to high-margin pickup trucks and small SUVs in the U.S. market and cost-cutting. All of the No. 1 U.S. automaker’s profit came from North America, where those lucrative models helped overcome an overall drop in the number of vehicles it sold. The company’s operations in China and South America combined added nothing to the company’s bottom line in the quarter. Shares rose 1.4 percent. The stronger-than-expected fourth-quarter profit, driven by strong U.S. results, stood in contrast to the job cuts GM has begun to make in its salaried and hourly workforces. The Detroit automaker has received political blowback, including from U.S. President Donald Trump, after announcing in late November it would not allocate new product to five plants in North America that mostly produce less-popular sedan models, indicating they will likely close. GM Chief Executive Mary Barra has made it clear that, despite the criticism, the cutbacks are necessary for the automaker’s long-term financial stability and to pay for the development of electric and self-driving vehicles. “We can’t run at a 70 percent utilization,” Barra said Feb. 6 about the company’s plant usage rate. “We had to improve that … It’s a transition we have to go through.” An industry rule of thumb is that automakers’ lose money when plants operate below 80 percent capacity. Barra also cited the company’s efforts to shift many of the affected hourly workers to other plants, lessening the impact of the cuts among blue-collar workers. GM said Feb. 4 it was starting to cut about 4,000 salaried workers in the latest round of restructuring announced in November. It said then it would take pre-tax charges of $3 billion to $3.8 billion to pay for the cutbacks, but expected the actions to improve annual free cash flow by $6 billion by the end of 2020. 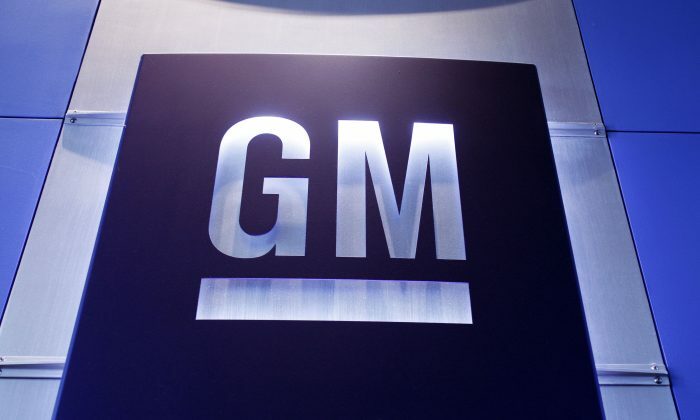 GM has said commodity and trade costs would hurt 2019 results by $1 billion. GM said on Feb. 6 that China’s $300 million in operating earnings in the fourth quarter was offset by other international markets. It sold fewer vehicles in China, its largest market by volume, and said weak currencies in South America had also impacted results. Earlier Feb. 6, Toyota Motor Corp. posted a slightly higher profit as demand for its bread-and-butter car models from cost-conscious Chinese buyers helped offset weak North American sales of its marquee sedan models such as the Corolla and Camry. On Feb. 6, GM reported fourth-quarter net income of $2.1 billion, or $1.40 per share, versus a loss of $5.2 billion, or $3.65 per share, a year earlier. Excluding one-time items, it earned $1.43, above the $1.22 analysts polled by Refinitiv IBES had expected. It reported a fourth-quarter loss in 2017 to adjust for an overhaul of the U.S. tax system. Excluding those charges, the automaker had reported net income of $2.4 billion.